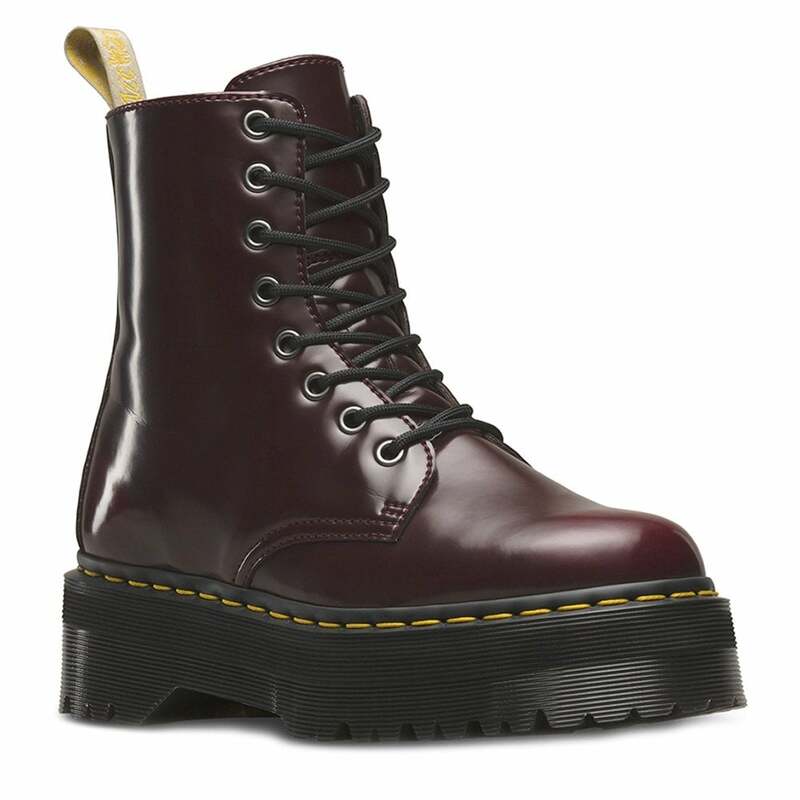 A new take on a classic design from Dr Martens - the traditional eight-eyelet lace up boot with a sprinkling of 80's retro and Vegan construction. Part of Dr Martens 'Quad retro collection', the Jadon unisex boot has vegan Cambridge Brush uppers for a rub-off look, with an eight-eyelet metal ring lace-up fastened by rounded black laces over a flexible tongue. For easy fitting this mens and womens ankle boot also has a side zip running from instep to topline. Inside the Jadon mens and womens boot is textile lined with Dr Marten branding on the padded insole. Giving the V Jadon II vegan boot its edgy look is its double sole rising from 3.5cm (1.5 inch) up to 5cm (1.75 inch) at the heel. Keeping true to its heritage the Jadon unisex boot has Dr Martens Goodyear-welted AirWair sole and famous yellow stiching giving you a unisex boot with a flawless fusion of Militia with a down-to-earth functional styling that is perfect for everday or clubbing. You might not rise to the dizzy heights of Elton Johns boots in the Dr Martens Jadon II but you'll certainly feel like you're walking on the top of the world - get your pair today.